do-words such as domat, dofir, doriwwer, dorun ….. always consist of the word do and a preposition like un (of), mat (with), iwwer (about)…. Do-words are always used in combination with verbs that are used with a preposition such as sichen fir (to look for), sech erënneren un (to remind of/ remember), fuere mat (to travel with). In a sentence the do replaces the object (whenever the object isn’t supposed to be mentioned or repeated again). Wat méchs du mat dem (mam) Vëlo? – What are you doing with the bike. ⇒ Ech fueren domat op d’Aarbecht. – I go to work with it. Domat replaces the object “mat dem (mam) Vëlo”. Ech freeë mech op de Weekend. – I am looking to the weekend. ⇒ Ech freeë mech dorop. – I’m looking forward to it. Dorop replaces “op de Weekend”. Erënners du dech un eis lescht Vakanz? – Do you remember our last holiday? ⇒ Jo, ech erënnere mech dorun. – Yes, I remember it. Dorun replaces “un eis lescht Vakanz”. 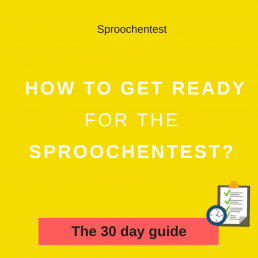 In the last example we have the verb sech erënneren un which is reflexive so to say I remember in Luxembourgish is ech erënnere mech and in English you don’t have any preposition, you just say Do you remember …something? but in Luxembourgish there is the preposition un ⇒ Erënners du dech un …..? Ech spille mat mengem Brudder. Ech spillen domat. – I play with my brother. I play with it. ⇒ Ech spille mat him. – I play with him. With “r” and without “r”? without “r”: fir, mat, vun ….. ⇒ dofir, domat, dovun …. What’s up with the dr-stuff? Ech freeë mech drop. I’m looking forward to that. All the do-words where the preposition starts with a vowel, so all the ones that have an r in the middle will drop the “o” of do. dorop becomes drop, doran becomes dran, doriwwer becomes driwwer and so on. Meng Elteren hunn en Hond kritt. Mir hunn de ganzen Owend driwwer geschwat. My parents got a dog. We talked about it the whole evening. Mäi Mann beschwéiert sech oft iwwer d’Wieder. Firwat beschwéiert hien sech driwwer? My husband often complains about the weather. Why does he complain about it? Ech hunn net vill Zäit fir dat, if you want to say I don’t have much time for it. ⇒ Ech hunn net vill Zäit dofir. – I don’t have much time for it. ⇒ Ech hat keng Ahnung dovun. – I had no idea about it. 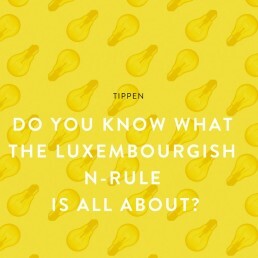 One reason, why do-words give learners of Luxembourgish a hard time is the simple fact that you have to change the order of things… instead of saying “with it” you have to think and say “it-with”. It is just the twisted illogical way of Luxemburgers to say “with it”, “from it”, “for it” and so on. If you are not used to it, you will talk and then maybe say “with” still wondering what preposition needs to follow, but it is already too late… you just can’t get it right anymore and you would have had to have used a d0-word. When you want to replace things that are connected by a preposition you say d0-and then the preposition. BUT – neither case nor gender do matter for the do-words… they are always the same. So when you talk and you come to a point where you have to say something like “on it”, “to it”, “from it”, “with it” etc. 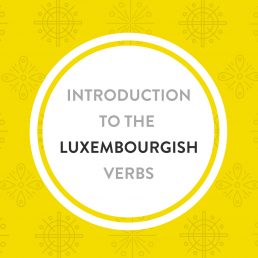 you do not need to know the Luxembourgish gender of it… just say domat, driwwer, dovun, drun or whatever the preposition may be, and you will be correct… 100% top native speaker correct. So that is it. That is the mystery about the do-words. How to make polite requests in Luxembourgish using "Ech hätt gär ..."